Description: I am only a messenger, Gods song birde. 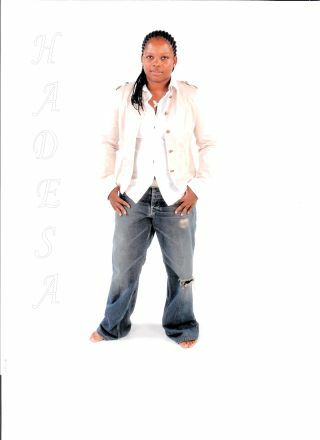 Biography: Hadesa was born on August 30,1976 in Chicago Illinois. I began singing at a very early age in the church and writing my own songs at the age of 9. I knew that I had a passion for singing very early in life. I sang everywhere I could, and everywhere I would go. Mostly I sang in places where noone would hear me. I attended Curie High School in the Chicagoland area for Performing Arts, focusing on Choir Performing. Performing with the school choir allowed me to sing in front of an audience, without the main focus on me. I have learned that what God has planned for me, it is for me. I joined the group True Destiny at age 25 and shortly after recorded my first song. The group allowed me to start to explore my talents even more by forcing me to attract the crowds attention. I know that faith moving on earth is God moving in heaven and he is never late. I began my solo career at the age of 29. Currently, I am completing my first full CD compilation. Here are some sample tracks for your listening pleasures. I hope you enjoy them, feel free to comment.